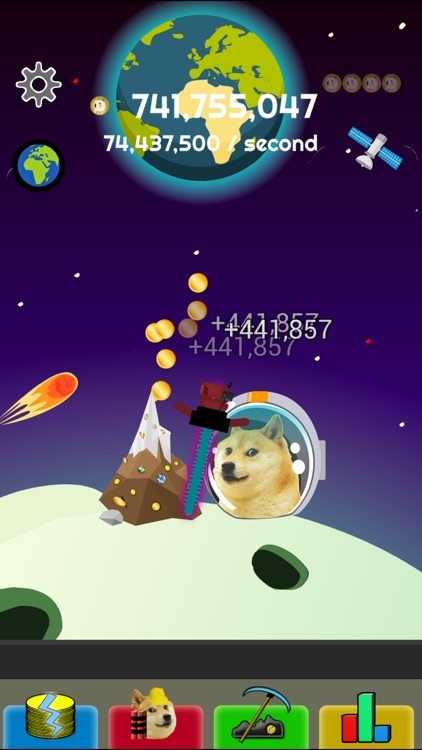 The most exciting and addicting doge game is now on your iPhone, iPod, and iPad. You'll have many countless hours of fun and entertainment. 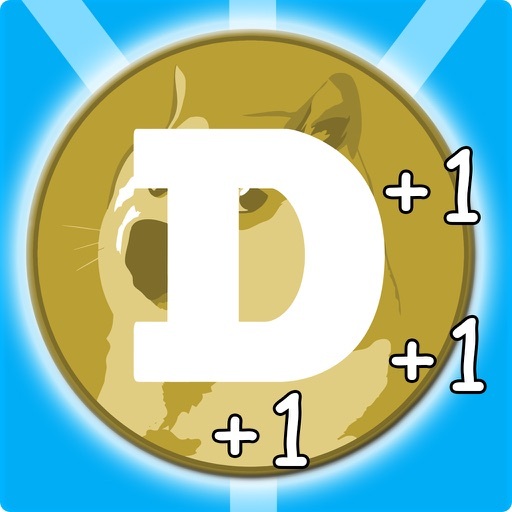 - The more dogecoins you mine, the more equipment you'll be able to purchase from the shop! 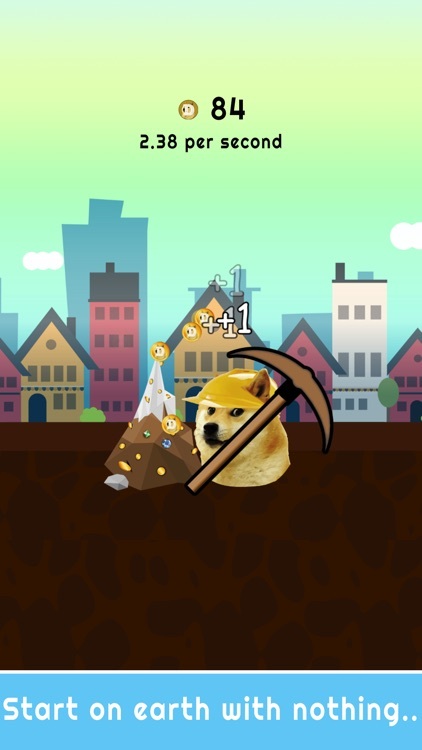 Use your dogecoins to buy machines and diggers that will mine dogecoins even faster for you! 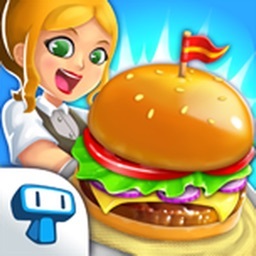 - Unlock a secret machine and other high-level upgrades! 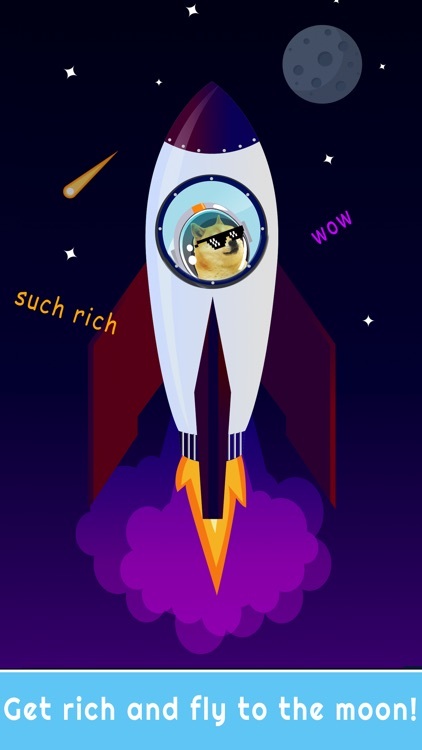 - Fly to the moon on a spaceship, where you get brand new investments and upgrades to buy! 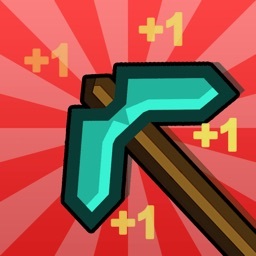 You'll go from swinging a wooden pickaxe for single coins to using time portals and flying through space on donuts and drilling into the moon to earn millions of coins per second! Watch the coins pile up right before your eyes! Don't be fooled by the simplicity of it. It'll look silly at first, but before you know it you'll be spending hours trying to land nuclear blasts and traveling through wormholes in space. 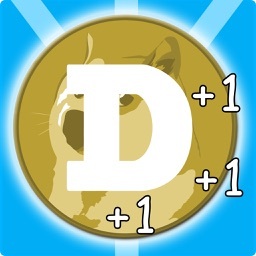 Doge Miner is unique because you'll be playing for an infinite amount of time. 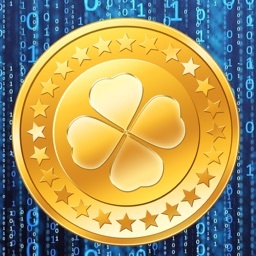 There is no end to the game, so you can keep playing to your hearts content, or until you mine so many dogecoins that your device isn't able to count such a high number anymore! Can you be the first to a million? a billion? a TRILLION? Find out. Don't let your friends beat you. They've already started. BE AWARE - The dogecoins in this app are FAKE, and therefore cannot be redeemed, spent, or used in the real world. There are no connections to the real virtual currency, Doge Coin. This game does not, and never will, have the ability to generate, or "mine", real virtual currency. 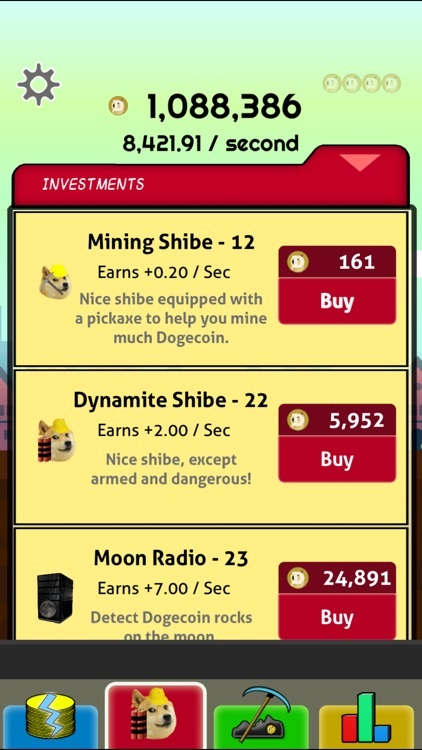 In this app, the terms "mine", "mining", or "mined" refer to the process of obtaining dogecoins from rocks. 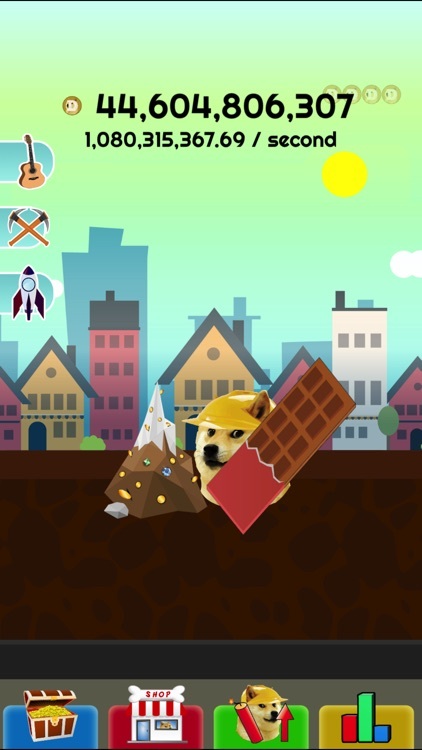 Note: Doge Miner is free to play but does offer in-app purchases for various kinds of things. 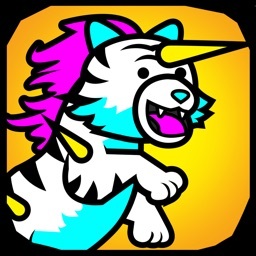 Any dogecoins acquired through in-app purchases will only work within the app itself and cannot be redeemed, spent, or used in the real world. 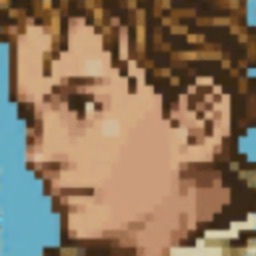 You can disable in-app purchases in your iOS system settings.